Skype, Facetime and Google Hangouts are three of many communication solutions that are mostly available for free in a fast growing and competitive market. In this article we will compare Skype vs Facetime vs Hangouts and you can decide for yourself if any of these offerings are a good option for you. Most people are already somewhat familiar with these services so let's jump right in and compare features. Skype is a well known brand that has been around since the early days of VoIP communications. Originally acquired by EBay, the company is now owned by Microsoft and while the software is still offered as a standalone product, it has since been integrated into Microsoft's Office 365 solution. Free Skype to Skype calls anywhere in the World. Low cost calls to Landlines or Mobiles. Audio and Video conferencing capabilities. Text, video and voice messaging. All of this is free, so what's the catch? Skype is becoming more and more of a traditional phone service provider in that it now offers packages for both national and international calling. To read more on the pro's and con's of Skype please read our review of Skype. 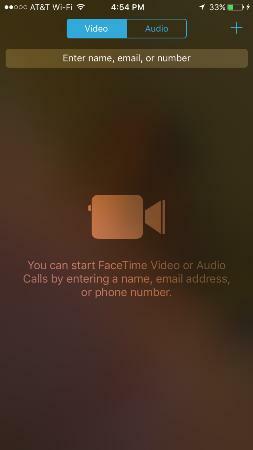 When compared to Skype or Google Hangouts, it is clear that Facetime is lacking in features. However, the simplicity of Facetime and the ease of use is what makes this a brilliant application for audio or video calling. Apple devices come with this app installed so there is nothing to setup and no learning curve. The only catch is that the person you are calling needs to also have access to the Facetime app. This is a relatively new offering from Google and delivers a unified communications platform for consumers and businesses. Hangouts integrates with Gmail and Google Plus or can be enabled as a Chrome plug-in. Hangouts is a strong competitor to Skype although the need for Google voice can be confusing and somewhat cumbersome and as such we don't consider it to be a fully integrated unified communications solution. That being said, it is a very attractive option as most calls to landlines or mobiles in the USA are free in addition to user to user calls. Text, video and audio messaging. Free calls to almost any number in the USA or Canada. Integrations with other Google Apps. Please read our review of Google Voice if you are interested in learning more about that application and how it works with hangouts. Which Communication Apps Do We Recommend and Why? While you can of course simply use all three of these communication applications and manage them accordingly, it is more productive to determine what features you need to use and then stick with one solution. Best App for Video Calls - If you have an Apple device then stick with Facetime as it is easy to use and there is no cost. If you need to call non-Facetime users or require video conferencing capability then go with Hangouts as it is free for up to 10 users. 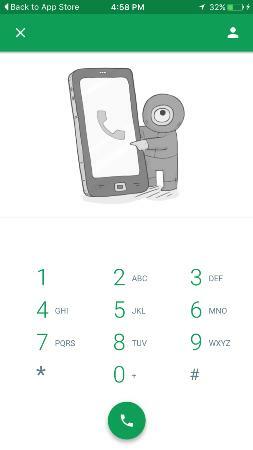 Best App for Calling Landlines and Mobiles in USA and Canada - The clear choice here is Hangouts once again as it offers free calling to most numbers in the USA and Canada. 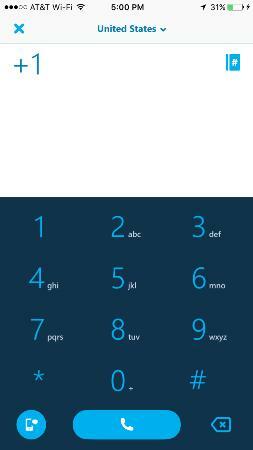 Best App for International Calling - If this is a user to user call then any of these is a good choice. If you are frequently calling different international numbers and countries then the answer is that it really depends. If call volume is low then the per minute usage charges with Hangouts is likely better, while if call volume is high, then go with the fixed monthly Skype plan for unlimited international calling. Best App for Replacing a Landline - If you really do not want to use a VoIP service, then the best choice of these would be Skype as it has integrated incoming and outgoing calls in a single application for only $2.99 per month, while Hangouts requires integraton with Google Voice. Our article on how to make free calls with Google voice and Obihai is definitely worth a read. This list consists of the most commonly used features. If other features are also important to you then the choice should still be clear based on the above comparison. Each of these software applications deliver an amazing amount of functionality while being either completely free or costing a very small monthly amount. They are all great options for voice or video calling and are very easy to install and use. While comparing Skype versus Facetime versus Google Hangouts as potential unified communications solutions, don't forget to consider what you do not get with these applications, such as a desktop phone. A regular Voice over IP service can offer some of these features at a very competitive cost so it may be worth considering a combination of one of these software applications and a VoIP service. If VoIP is indeed a consideration, then please refer to our list of residential phone service providers. Worth noting is that if you need a new phone number, you will have access to a much greater pool of available numbers when going through a VoIP provider. These three software communication applications are of course just three of many options available to choose from. We chose them for this comparison as they are extremely popular while offering similar functionality. If you have a favorite application other than these then please share your views by adding a comment below. Here are some popular providers worth considering when looking at Skype, Facetime, or Google Hangout solutions.